While the holiday season brings happiness and good cheer, it also means winter is upon us. For many parts of the country the winter months mean cold and harsh weather – often leading to dangerous conditions in and around the home. It is especially important for families and caregivers to keep a watchful eye on seniors to make sure they are staying as safe as possible. For caregivers who use ClearCare Online’s homecare system and homecare software, setting safety reminders is easier than ever before. The winter months also pose a risk for hypothermia, especially for seniors who produce less body heat. Certain conditions, such as Parkinson’s disease, can limit the body’s response to cold, leaving seniors even more vulnerable. Caregivers can make note in their homecare software or homecare system if their senior clients have such conditions so that they can better prepare for winter weather. When severe weather is in the forecast, families and caregivers would do well to make preparations that will allow seniors to stay at home, such as stocking the pantry and refrigerator. Caregivers can use their homecare software to take inventory of what else may be needed, such as bottled water or extra batteries. 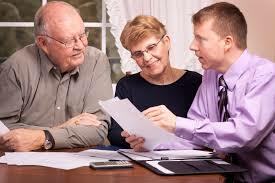 Communicating plans with family members is easy using ClearCare Online’s web-based homecare system. ClearCare Online is devoted to helping seniors safe and healthy and their homes throughout every season. Our innovative homecare system and homecare software gives caregivers the tools they need to provide superior care, while providing real-time updates to family members. For more information on keeping seniors safe this winter, check out our Holiday Safety blog post.